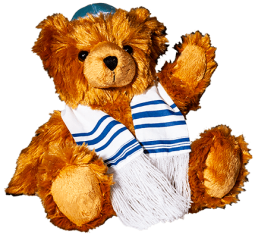 The »Synagogenchor Zürich«, conducted by Robert Braunschweig, consists of approx. 24 singers. 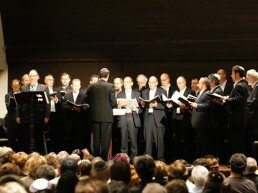 The choir is supported by the Jewish Community of Zurich (ICZ). 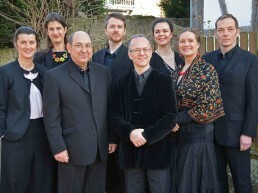 Founded in 2006 by Hector Sabo and composed by the male soloists of the mixed choir Les Polyphonies Hébraïques de Strasbourg (participants in LLF 2011), the Ensemble Vocal Hébraïca performs as a vocal quartet until 2011. 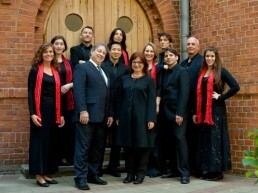 Then, the group had grown into a quintette to become a mixed voices octet in 2012 already. 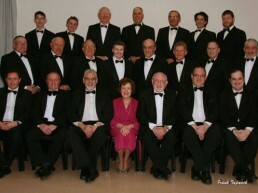 The Johannesburg Jewish Male Choir celebrates 25 years of worship for the Jewish community in South Africa. The first performance took place in 1985 at the Linder Auditorium in Johannesburg - in memory of Cantor Johnny Gluck, whose wonderful voice still sounds in our hearts. 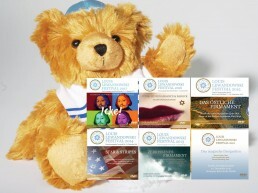 Through his commitment, the JJMC succeeded in keeping the legacy of Jewish music alive.